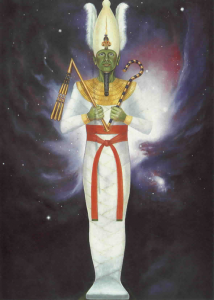 DECREE TO OSIRIS- Ascension NOW! Diminish the illusions of death! We accept this prayer manifest here and now throughout the planet, to bless all souls of light, transmute all areas of darkness and that all souls may flow with the River of Christ Oneness.